Here’s a real treat, an extraordinary photo essay from photographer Bérangère Lomont, our French connection. 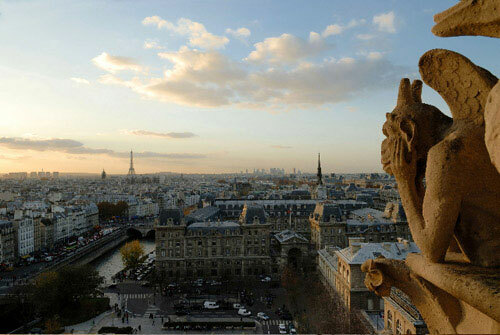 A gargoyle watches over Paris from its perch on Notre Dame. BB (as her friends call her) takes to the rooftops of Paris to capture stunning and utterly unique views of Paris. Rue Chevert, Paris 7th, is a side street southwest of Hotel des Invalides. Looking northeast with morning light. 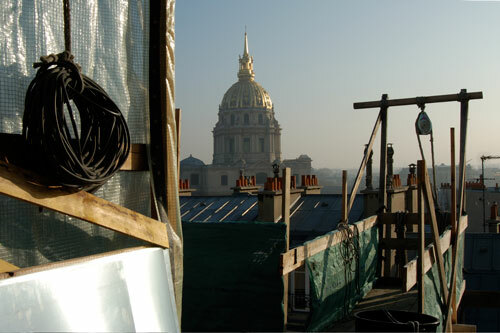 Joining Paris’ roofers with special permission from roofer’s union boss Francis Arsene, she clambers above the arrondissements to capture some remarkable never-before-seen aspects of her beloved city. 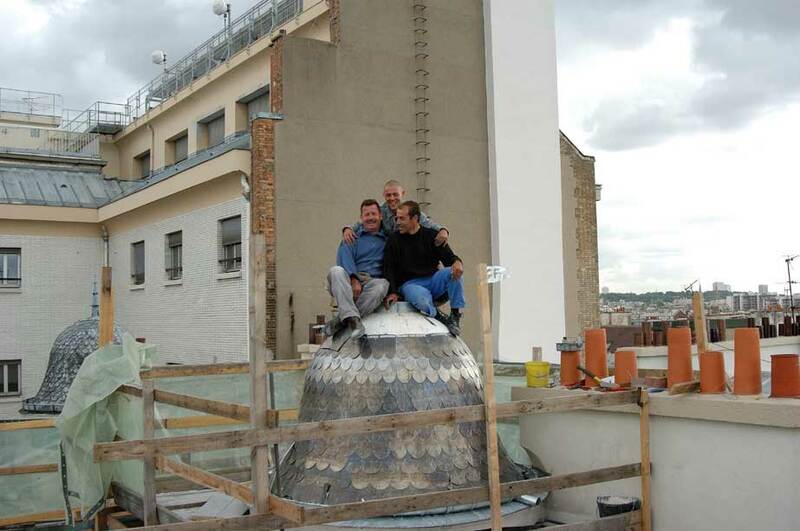 Three roofers, Francis, Frank, & Manuel (L to R), atop the little dome at 63-65 rue des Archives in the 4th arrondissment. Don’t miss the whole story right here! Those photographs make me want to jump on a plane! Come to visit us dear Celeste !